A Typical Saturday- He Biked, I Learned to Cook Mexican! Today was a fantastic way to start the month. The Runner did a VO2 Max/Lactate Threshold test and is busy analysing his results. He is exceptionally pleased with them and now is just trying to work out how to use them to improve his training. Husky Long Course is a mere three weeks away and this year he’s either going to get an awesome time or possibly die trying. He’s had three bad races there in the past three years he’s done the race– a torn Achilles the first year, a crash and a lost watch the second year, and bad cramping last year. This year we’re hoping the curse has somehow been lifted! While he was out testing, I was at a Mexican Cooking Class at The Essential Ingredient in Rozelle. It was a Christmas present from The Runner and it was fantastic! First of all, I love that shop, it’s basically a cook’s paradise in Sydney. They have lots of ingredients and cooking equipment and Le Creuset pots, and Kitchen Aid mixers and all sorts of other kitchen related things. From obscure ingredients to obscure equipment, if you need it to cook with, they probably have it. Secondly, the chef, Travis Harvey, who led the class was absolutely fantastic. He’s just gotten back from filming an SBS series on Mexican Cooking with Peter Kuruvita and his passion and knowledge of Mexican cooking was fantastic! He was really helpful and gave just the right amount of help but also let us play and cook ourselves. The food was TO DIE FOR. Literally, some of the best Mexican food I’ve had in a very long time. I’m not a fish person, but the fish tacos we made were the best ones I have ever had in my entire life. 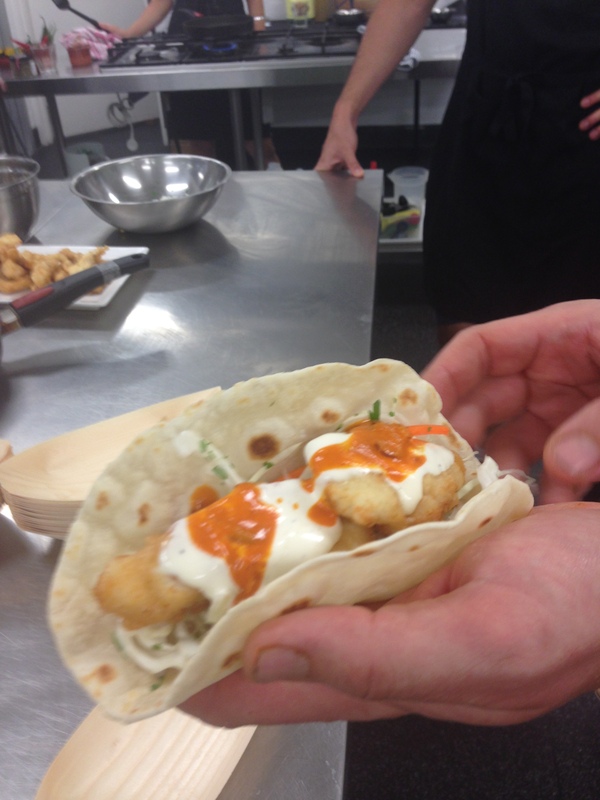 We made Baja Beer Battered Fish Tacos and the recipe is here on the SBS website along with 10 of his other Mexican recipes which are related to the show which are on the web as well. Actually, everything we made in our class was tasty. 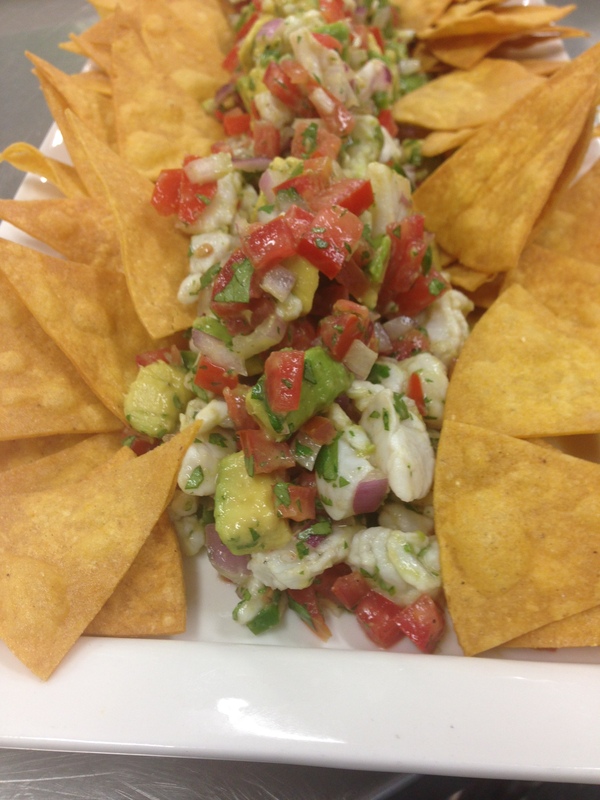 We made Ceviche with the Snapper that we learned to fillet in class– actually I watched other people learn, I have a thing with dead, whole fish. (It’s their creepy, dead eyes and the thought of their scaly skin…I shudder just thinking about it). We served it with tortilla chips and they were beautiful and tasty. Also, we made mini spit roast pork tacos with pineapple which were yum! 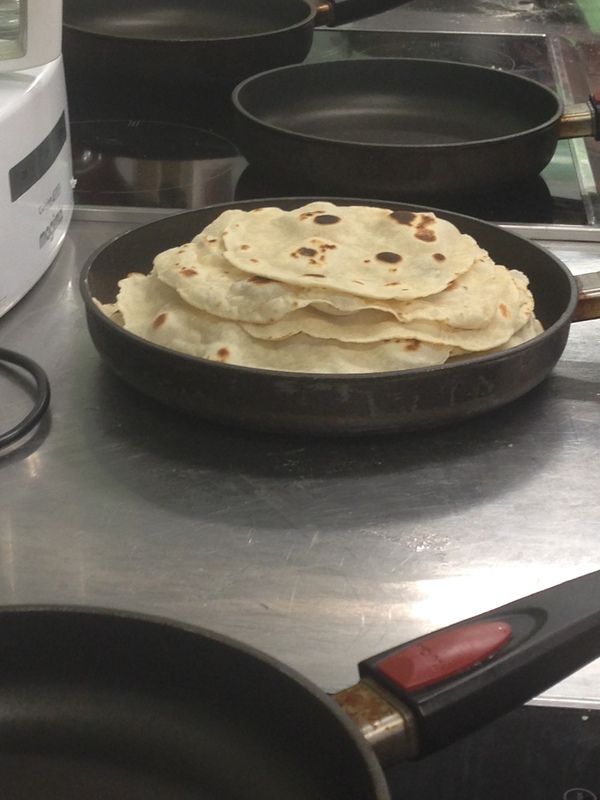 We learned how to make corn and flour tortillas and various salsas as well. 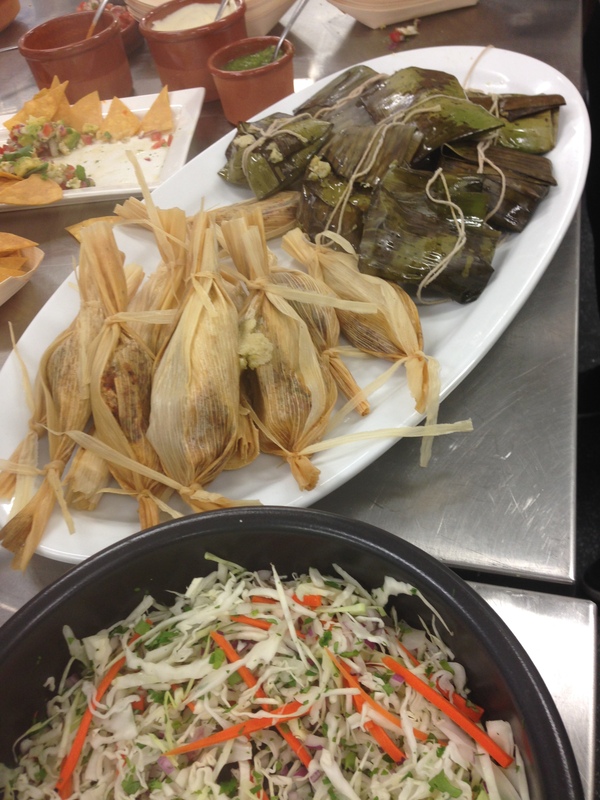 I was responsible for making two types of Chicken Tamales- one with salsa verde in banana leaves and the other with salsa roja in corn husks. And they were fabulous!!! Best of all, everything we made were things that I could easily make again. In fact, I bought a tortilla press, black beans and masa harina and tomorrow I’m going to make vegan tacos from scratch! I think it should be pretty easy but of course, no cheese or sour cream to go with them but hopefully with guacamole, pico de gallo, and maybe even salsa verde we won’t even care!! If you’re in Sydney, I highly recommend taking one of his classes- I would do one again just to eat the delicious food! You can book for yourself here. What (or who) is your nemesis? The Runner has one. I have one. Superman has one. I’m sure everyone has one. And that’s a nemesis. In Greek Mythology, Nemesis was the Goddess of Revenge, she’s the one that brings “sorrow to mortals” (according to Wikipedia which doesn’t lie). Nemesis also believed that “no one should ever have too much good, and she had always cursed those who were blessed with countless gifts.” Sure, we’ll go with that. It kind of makes me feel better about myself. My nemesis, (at least in the world of Pole Dancing, my sport) is the Candy. It’s a move that I’ve struggled with for years… YEARS! All the other girls make it look so simple and so easy- just throw your legs over your head and smile– hooray! Too easy!! Nope, sorry, not me. That move taunts me, much like Nemesis taunted Narcissus. Yup, she was the one who led him to the pool where he drowned staring at his own reflection– she was soooo mean. Much like my Candy. I hate it, every week it’s a reminder of why I will never be really really good at pole. Because every week, we practice it and every week I fail. Annoying and frustrating and yes, it’s my archenemy. But I’m determined- and one week in the near future, I will conquer it– or possibly die trying. This week also features The Runner’s nemesis (and no, it’s not Valentine’s Day). 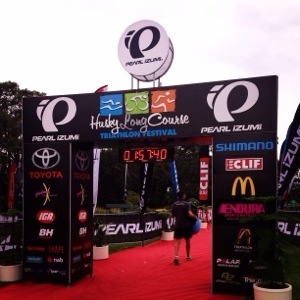 It’s the triathlon in Huskisson aka Husky Long Course. This is the 3rd time he’s doing it and hopefully it will be the year he beats it…..Because frankly, I’m not sure that it could be any worse than the previous two years he’s done it. Last year was so bad, he came second in a competition for who had the worst race. Second! Which means that not only did he have a horrible race, but he didn’t win a prize for having the worst race, which really just adds insult to injury….and by injury, I mean an actual injury…. two years in a row! 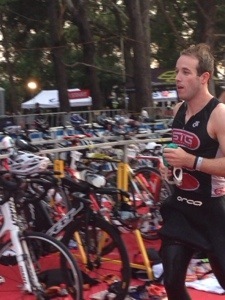 The first year he did it, he pulled his hamstring, and had to limp his way out of the race. Last year, he lost his watch during the swim and then rode through a pothole at 50km/hr and came off his bike and wound up in the first aid tent after the race. Ouch! Every other race he’s done has been flawless- or at least relatively drama free…. It’s just something about the race in Husky that’s, well, trouble. So, understandably I’m a bit nervous for him. Unlike my nemesis, which realistically is only hurting my ego, I’ll be waiting and watching on Sunday morning with baited breath hoping that The Runner finishes the race and makes it through in one piece and not broken and bruised. There’s nothing better than beating your nemesis once and for all, and I really think that this could be the year he does it. 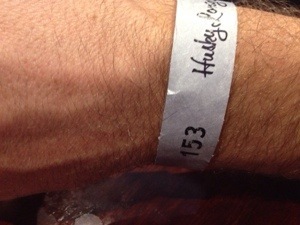 I’ll let you know how it goes but keep your fingers crossed…. 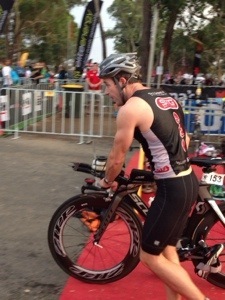 maybe once he conquers this race, I’ll finally get my Candy sorted! 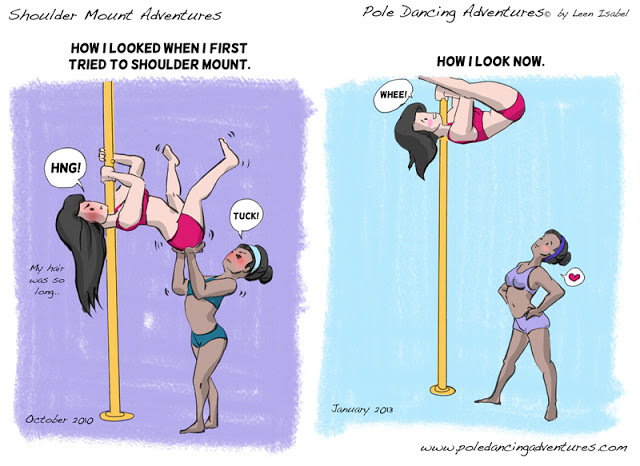 A girl can only dream…..
P.S I found a great blog that pretty much sums up how I feel about pole….